Do you know the meaning of community? Students at the Chestnut Hill School certainly do! On Sunday, March 2nd, the school celebrated Heart of the Hill Day. 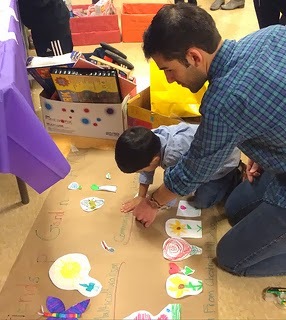 Students and their families joined together to work on projects to benefit charitable organizations in their community. 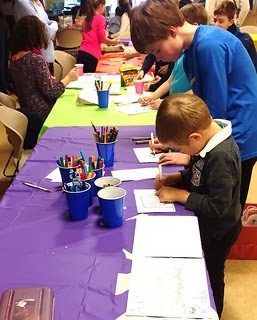 Students donated art supplies to help raise awareness for ARCK’s mission – to bring art education to students in under resourced schools within the greater Boston area. 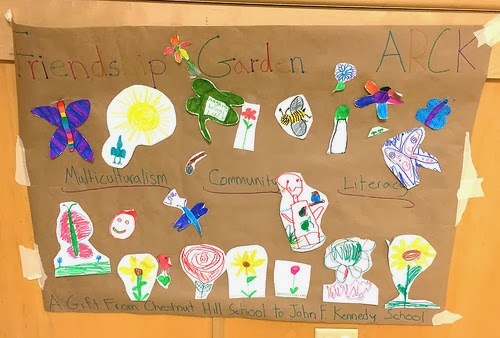 The students at the Chestnut Hill School also spent the afternoon creating a “friendship garden”, which highlights values that ARCK and CHS share: multiculturalism, community, and literacy. Each student drew their own component of the garden – bugs, flowers, birds, trees, and even a garden gnome. Each element displays the students’ unique artistic styles and highlights their differences as well as their similarities. 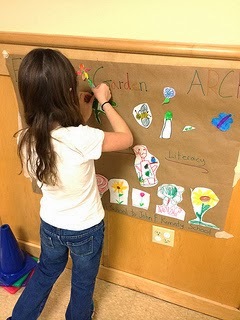 These colorful components were then put together on a poster to represent the garden, and also the cohesiveness and diversity of the school community. This friendship garden will be gifted and on display for the students at John F. Kennedy Elementary School in Jamaica Plain, MA. 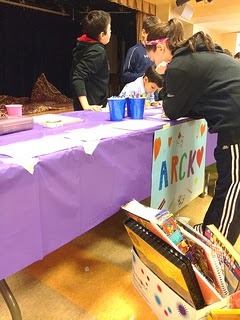 ARCK is very grateful for all the donations that the Chestnut Hill School students gathered. We look forward to presenting these materials, along with the friendship garden, to the students at the JFK Elementary School as a gift from the Chestnut Hill students. ARCK wants to extend a special thanks to ARCK board member and Chestnut Hill School parent, Evie Dykema, for making this collaboration with ARCK and Chestnut Hill School possible. Check out all the fun the students had creating the garden and some of their creations below!